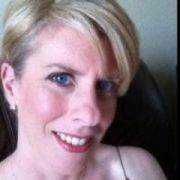 Maeve Ahern O’Neill is an experienced marketing and communications professional. She worked as marketing and sales manager for a book distribution company and remained there for over a decade before changing to the non-profit sector specialising in the use of communications and social media in creating awareness and fundraising goals. The call to return to education came in 2014 where Maeve researched for her Master’s Degree in Digital Humanities in University College Cork to understand how changes affect our culture because of digital tools. It was here where she researched into ways to communicate a personal branded message spanning from individuals to incorporating an overall organizational strategy and turned into a first class honour Thesis. The huge interest in her topic paved the way for Maeve to establish The Branding of Me in 2015. Since then she has become a guest lecturer in UCC, asked to deliver workshops at the highest level of managers in multi-national companies, spoke at induction days and helped many individuals from those seeking to progress in their career to CEO’s of companies. 2017 is busy as she is being regarded as sought after speaker and her engaging workshops are aiding companies reach organizational goals and a competitive advantage, through creating their own a personal branding team.